The rocking horse maker, J. Collinson of Liverpool, enjoys the distinction of the longest uninterrupted period of rocking horse making in British history. It is believed that this family firm began making rocking horses in Liverpool in 1836 and continued until its ultimate demise in the early 1990s. Queen Victoria's visit to the works in 1851 is widely credited with helping to popularise the dapple grey. From that moment, it is said that Collinson only made dapple greys. In their original guise, their distinctive style is usually easily recognisable. These are versatile and robust rocking horses with a design which was proven over many a long year. Indeed, it is one of the noticeable features of a Collinson that the shape and design hardly changed at all over many decades. In the hands of a skilled and experienced restorer, an old Collinson rocking horse can be transformed almost beyond recognition. This brings out the best in the horse. Our restoration of the pictured Collinson rocking horse includes superb attention to detail. 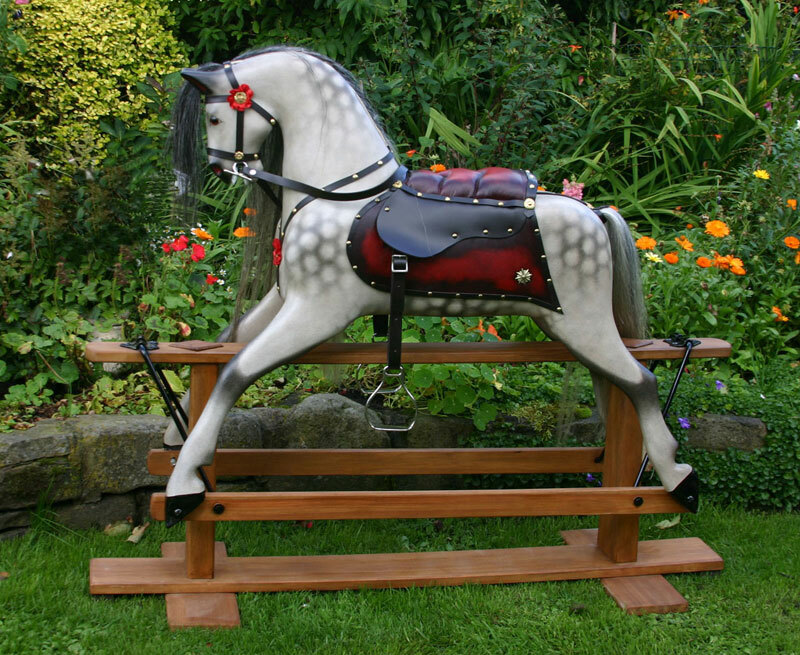 This is a beautiful Collinson rocking horse for sale!